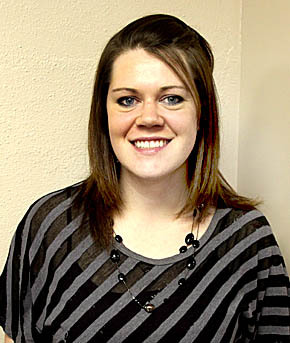 Heidi Dorador, a native of Scottsbluff, NE, is the new business coordinator at the Albion Chamber of Commerce. She was introduced duirng the monthly Albion Chamber of Commerce meeting Monday night, Feb. 17. Heidi and her husband, Rodney, live in Newman Grove.